On Tuesday, August 30th, 2011, the Clocktower presented Improvised Spaces, a live sound installation by resident artist Maria Chavez and collaborator Daniel Neumann. 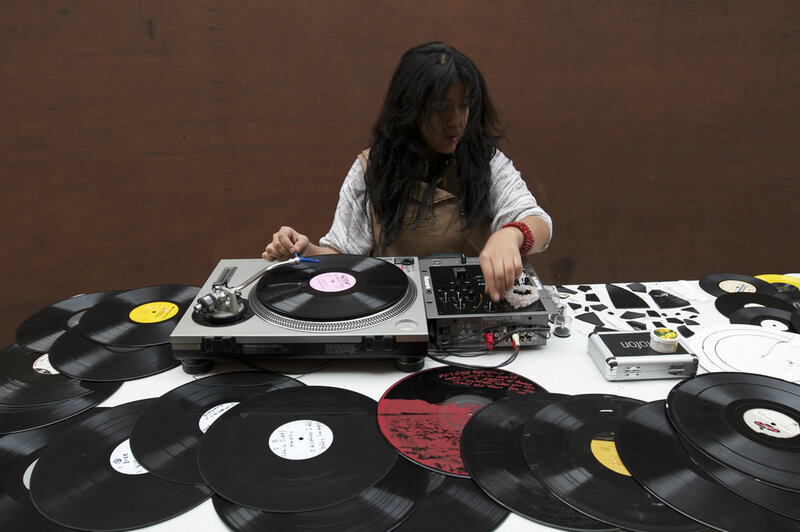 Improvised Spaces is the final work created during Chavez's Audio Art Production Residency. For this piece, Chavez and Neumann curated a site-specific sound installation arrangement throughout the Clocktower's many galleries, project rooms, hallways, nooks and crannies. Each arrangement engendered and showcased a different acoustical element of Chavez's piece.